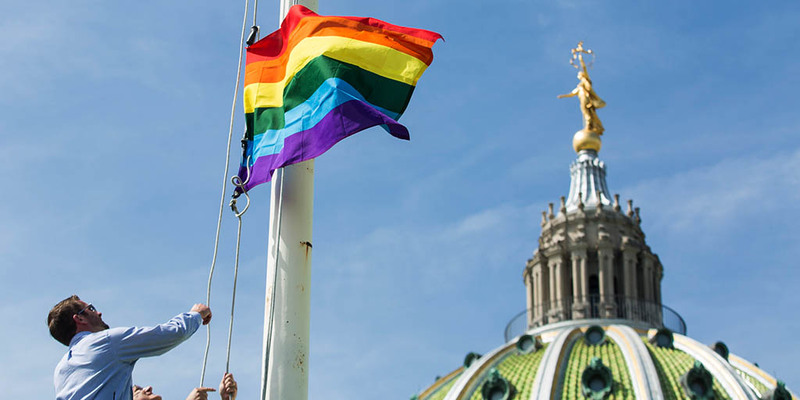 Harrisburg, PA – Governor Tom Wolf today will sign an executive order creating the Pennsylvania Commission on LGBTQ Affairs, the only one in the nation. The 40-member commission will be led by executive director Todd Snovel. Most recently the Assistant Dean for Engagement and Inclusion at Lebanon Valley College where he led the team working with students in the co-curricular experience and initiated campus-wide efforts in equity, diversity, and inclusion, Snovel also teaches college-level courses on the studies of genders, sexualities, and identities. He holds a B.A. in English Communications from Lebanon Valley College and an M.A. in Organizational Leadership from Mansfield University. He is active in his community and has served on numerous boards including the Central Pennsylvania Gay and Lesbian Chamber of Commerce. Todd is the former chair of the Lebanon County Commission for Women, is an inducted member of the Dream Team for the Women’s Fund of the Foundation for Enhancing Communities and serves on the Women’s Fund Advisory Committee. He was the 2014 recipient of the Athena Award from the Lebanon Valley Chamber of Commerce and received the Wheeler Freedom Award in 2015 for his support of the LGBTQ community in Lebanon County. The Pennsylvania Commission on LGBTQ Affairs joins the governor’s existing commissions, including those on African American Affairs, Asian Pacific American Affairs, Latino Affairs and the Commission for Women. “Today’s announcement is timely and important, but also not the end of our efforts to create a Pennsylvania that espouses inclusion and diversity in all that we do,” Gov. Wolf said. “The efforts of the LGBTQ work group, established early in my administration, are recognized in many accomplishments that will continue and that group’s work will move forward as a function of this commission.